Nancy and Geeta, best friends for years, both taught at the Kenyon Review Writers’ Workshop each June. They shared the prompts they used for teaching and tried to think up new ones together. They loved the great stories that came out of their classes, dozens of which found publication, and discovered that it stoked their own writing as well. For years they wondered how they could do something similar with novel-length work. A novel writing workshop seemed impossible to do right. Couldn’t just workshop a 20-page chapter taken out of context. It could be a great chapter in a terrible novel — or a terrible chapter in a great novel. It could feature a third person narrator, only to drop that narrator in the next chapter and move to a first person point of view. Giving advice without a sense of the novel's totality was like the classic blind men and an elephant parable. If they were going to do it, it had to be done right. Nancy started doing individual novel workshops at The Porches in Virginia where she worked with a complete novel manuscript. She designed a unique clotheslining system so that the writer could visualize his or her work. Virginia Pye’s River of Dust (Unbridled Books) came out of one of the Porches workshops. It also proved Geeta and Nancy’s one chapter rule since Nancy had originally told Virginia that the chapter she had applied with didn’t need enough work to justify the money she would be charged. Turned out the rest of the book had nothing to do with the original chapter: different characters, different era, different country, different culture. So there was work to do. The revelations the writers experienced using the clothesline, especially regarding plot, convinced Nancy that this was a system that needed to be transferred to a classroom, despite the daunting amount of work involved. One November Columbus Nancy and Pittsburgh Geeta met somewhat midway at a bed and breakfast and over a long weekend tested out the system on one of Geeta’s own novel manuscripts. Excited, they suggested a novel writing workshop to an enthusiastic Kenyon Review and put it together that very summer, the two of them and nine writers. 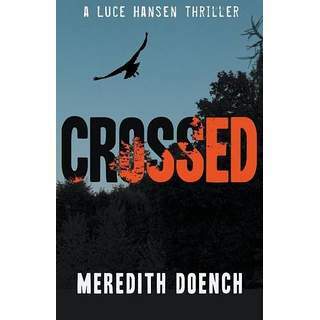 Even though it was in the test phase, two published novels came out of that first trial workshop: Meredith Doench's Crossed, and Kris Faatz's To Love a Stranger. A third participant, Margaret Verble, went home from the workshop to begin a new novel with the same characters from her workshop novel. It was published to amazing acclaim and became a 2016 Pulitzer Prize finalist. That first year taught them that the 60 pages they had required wasn’t enough. They needed to do at least a 100, but to workshop a 100 pages they needed help. Nancy and Geeta were both bad cops. They needed a good cop, someone “nice” (deviously nice) who was also fun to be with and as hard-working as them. They looked at each other: Man! So Man Martin joined the team. And then Nancy asked her publisher, Greg Michalson of Unbridled Books, if he would consider spending a couple of days meeting with each writer. Another amazing workhorse, he carefully and respectfully he read each manuscript. After doing this two-day consult for a couple of years, he became a weeklong instructor as well. One year, one of the students proved to be so proactive and professional that she was invited to return as the first Peter Taylor Fellow. Ellen Weeren immediately became indispensable, and a new job was created for her: novel workshop coordinator. When Man Martin had a sudden family emergency another summer, Nick White joined the team and proved to be another good cop juggernaut. His good deed resulted in some good karma: weeks after agreeing to do yeoman’s work for near minimum wage, he was surprised by a two-book deal from New York, followed by a tenure track assistant professorship at The Ohio State University. Once he gets settled, he’ll be back. And then Geeta and Nancy decided to offer the option of 200 pages workshopped one-on-one. They thought they would get only a couple of people. Another lesson learned: EVERYONE wanted the one-on-one. So many applications and 200-page manuscripts. Fortunately Ellen was there with her invaluable help. All the requests for one-on-ones meant that more instructors were needed. So Nancy and Geeta turned once again to good friends and extremely talented writers: Gail Galloway Adams and Jane McCafferty. Not only did they save the day but the six friends teaching together — Gail, Jane, Greg, Man, Nancy, and Geeta — had a blast brainstorming and learning from each other. The class ratio was amazing — 13 students to 6 instructors, in addition to Ellen and Andrew Chonowski, the Peter Taylor Fellow that year. The team decided they wanted to do whatever possible to stay together and experience this creative event again. Thus, the Zafris-Kothari Novel Workshop was born. No longer held at the bucolic campus of Kenyon College in Gambier, Ohio (where Geeta and Nancy still teach at the regular summer workshops), the novel writing workshop has moved to the city of Columbus, Ohio and the campus of The Ohio State University. Nancy and Geeta test out their new new system in a bed and breakfast.